The sun is shining and the trees are starting to blossom. That’s right, it's spring time and Father’s Day is right around the corner. Let your Papa be trendy and fashionable with these unique Father’s Day gifts that can only be found on MakeTank. 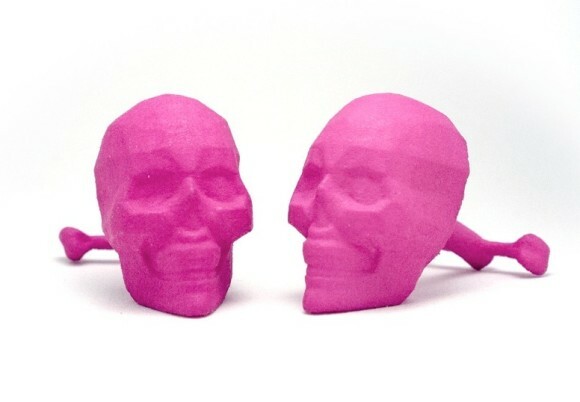 3D printing and accessorizing is all the buzz this season, so complete your father’s look with these artisan designs. A new look to a classic gift, Dario Scapitta has truly represented the masculinity behind his new 3D printed rings and pendants. Shining with their metallic lust, these rings and pendants are a perfect Father’s Day surprise. The simple, yet strong and abrasive natures of these designs perfectly complement the man behind the look. 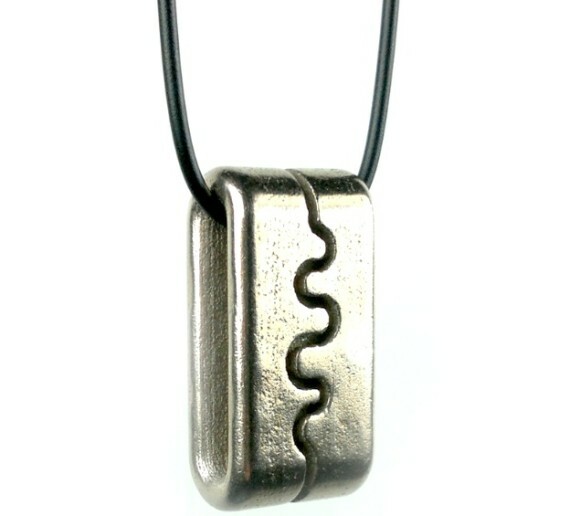 The rings are affordably priced at 85 euro and the pendants at 90 euro, making these a great and affordable gift for any father. DBLab iPhone/iPad covers are a great choice for the tech-savy Papa out there. Simply put, everyone has to protect their prized Apple products, but why not do so in fashion? That is what DBLab is here to help with. These iPhone and iPad covers are economically priced at only 26 and 48 euro respectively, and vary in styles. 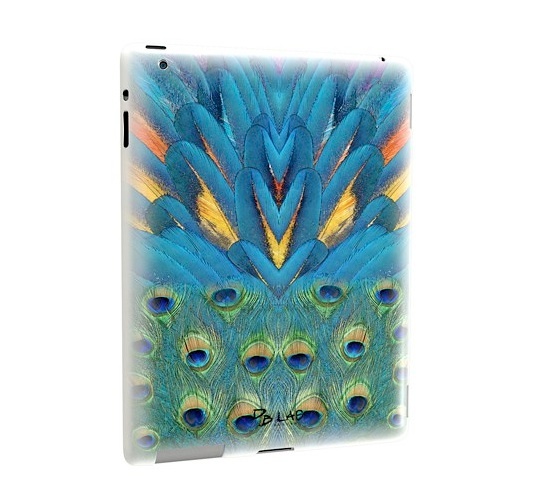 From a peacock feathered backdrop to a full artistic masterpiece on the back of your Apple product, these covers offer a range of unique and identifiable looks that fit any type of Papa out there. SmåtSmåt has a great, new collection of 3D printed artwork sure to amaze friends and family. Unique and elegant, these rings and cufflinks emphasize shape and contour through beautiful creation. All priced at 30 euro, these accessories can often complete a bold and dashing look. 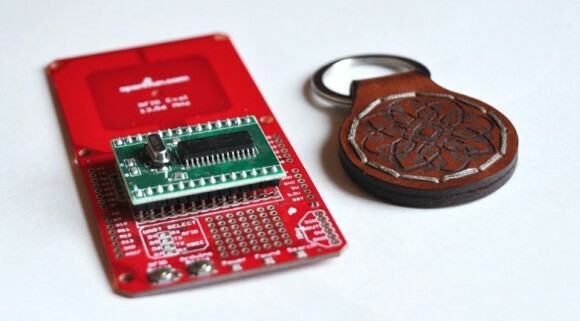 For the technology lovers, Troykyo is combining technology with artisan craftsmanship to make one of the most powerful and useful keychains yet. These leather, hand-sewn and fully customized keychains contain an RFID chip that will be able to recognize when you are home and even alert family and friends when you have stepped in the house. These beautiful keychains are well priced at 18 euro and will surely be a useful and genuine gift for any father. 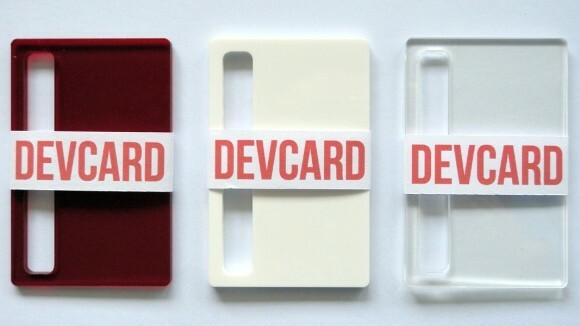 LOHN has come up with the Devcard, a wallet-sized phone stand on the go. The ease of having a phone stand at your fingertips will allow any tech loving father to be able to read their favorite article and catch up on their Internet connected news whenever and wherever. Whether it be at the breakfast table or the office desk, your father will love this simple phone stand that turns any smartphone into a small and convenient reading station. For only 6 euro, this gift is a must have for all smartphone-using fathers. 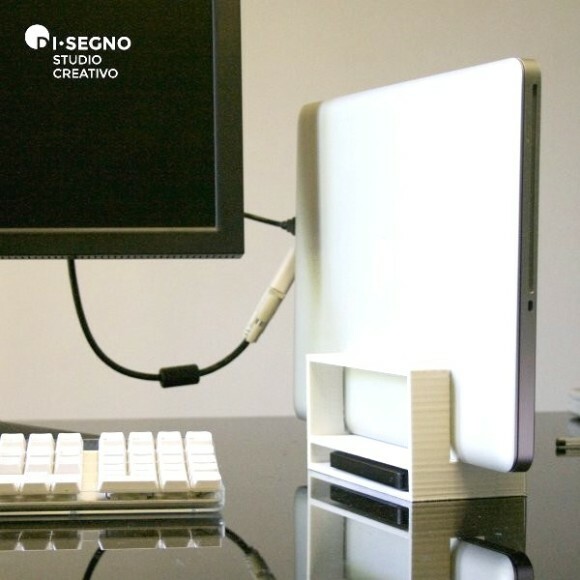 DiSegno has used 3D printing in a very useful way, creating the MacBLOCK. This beautifully engineered scratchproof stand allows for energy saving while connecting your Macbook to a larger screen display via the Mini DisplayPort. It allows for the MacBook to sleep and save battery power while still connecting to the display outlet being utilized. For only 29 euro, this gift is a perfect complement for the efficient, hard-working father.